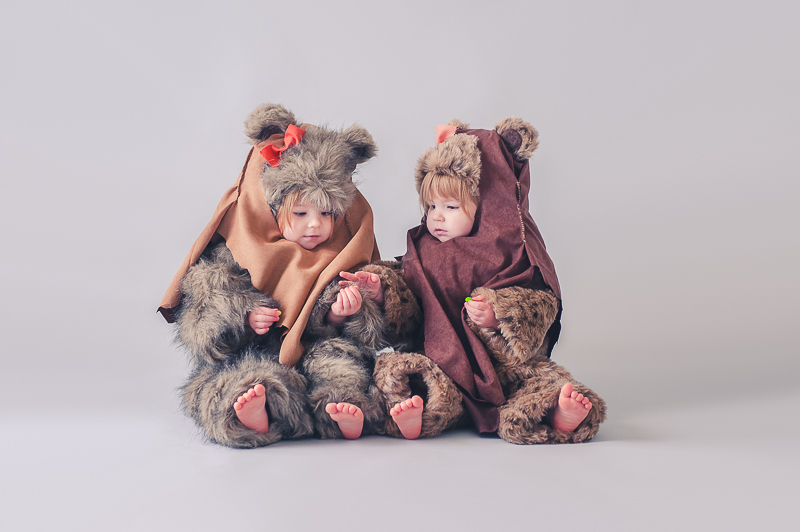 I had a shoot get postponed last Thursday so I spent the day getting my little Ewoks ready for Halloween. 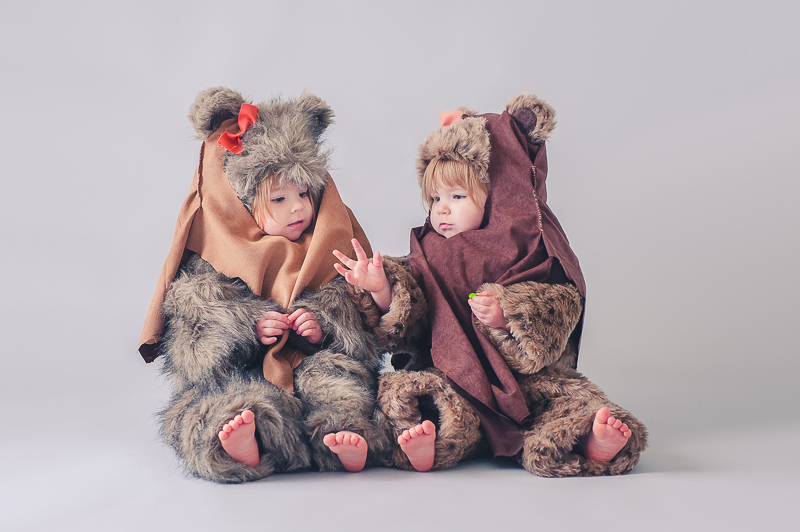 I made the furry jumpsuits extra big and then hemmed them up so they could wear them for many years and be worn as other creatures by just changing the hoods. They're so toasty warm that I probably won't make matching feet or gloves. It's so fun to sew again! Update: They put them on two years later and ran around the house. I need to let the hems out a little but they still fit pretty well as is. Here are a few camera phone snaps. oh.my.gosh. I can't stand all this cuteness! seriously! 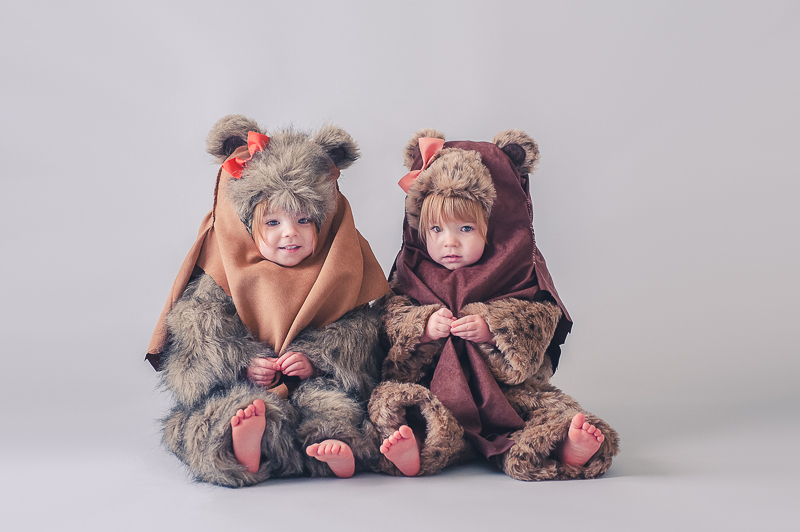 I have always loved the Ewoks. 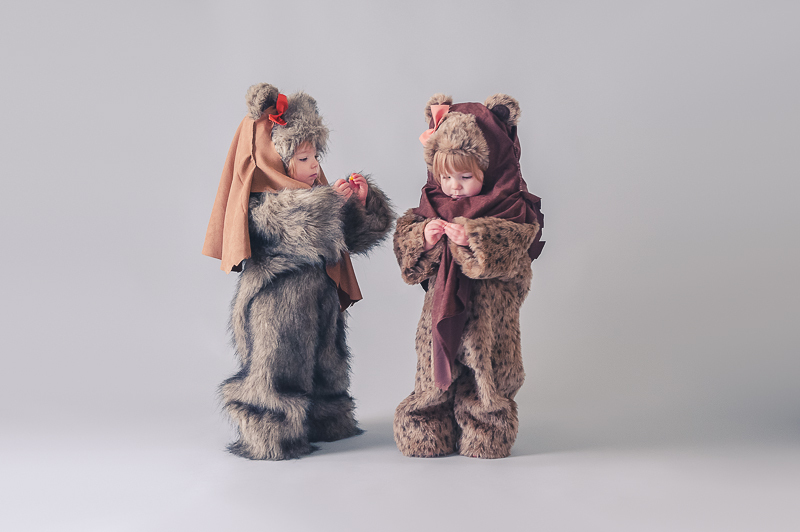 In fact, in the 4th grade, the boy who had a crush on me since Kindergarten - he was an Ewok for halloween. And I had a bit of a crush on him after that. LOL!!!! Your girls are just adorable! so awesome! So cute - great job Rachel. T.
What pattern did you use?? These are adorable!!! Thanks, Michelle! It's been a few years so I didn't remember what pattern company/number I used but it was one that had multiple animals variations with the zipper in front. I used the bear pattern.